You might be surprised at the amount of hazardous waste you have gathered in your home over many years. In fact, you will have a pretty clear idea of this when you start to prepare for your home removal. Many of these household products we have stored in our garages, basements or other parts of our living spaces are corrosive, toxic or flammable materials that need to be handled, stored and disposed of very carefully. Moreover, when moving house, you need to know the rules concerning moving such products because some movers will refuse to relocate hazardous products. And since you cannot move them with you, you need to dispose of them appropriately. Most of these products are very flammable, and some even explosive. Even ordinary nail polish we use daily can be highly toxic to children and pets. Compact fluorescent lights contain mercury, which can cause cancer. Therefore, when storing or moving such products, it is recommended to be very careful. 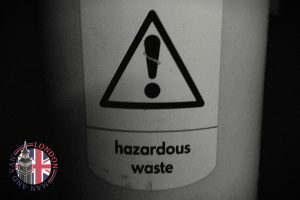 How to dispose of hazardous waste? Hazardous waste cannot be thrown in the garbage. It can eventually end up in a landfill, which can get into drinking water supplies and cause harm to animals and other living beings. Moreover, you can face serious fines if you do so. If you have considered burying it in the backyard, unless you want it to be declared a hazardous waste site, it is also not recommended. You might accidentally combine explosive products and create an explosive. Instead, find the most suitable solution to dispose of your hazardous waste before you move. After you gather all your waste, call a local waste collection service or rely on a trusted company that offers all-around man and van services in Lampton TW4, for example, that offers such additional solutions. Talk to the expert and learn more about their policy on handling hazardous waste. Additionally, there are probably few disposal centres in your neighbourhood where you can drop off your hazardous waste. They will provide information about what they will take, when, where, etc. Talk to your friends and neighbours and ask to take some of the products they can still use. They might need that rat poison and you are planning to get rid of it anyway. And finally, ask your mover if they provide a professional rubbish collection service in London. If you are planning to hire them to get rid of old furniture and other random junk, ask them whether they will dispose of your hazardous waste for you. To reduce hazardous waste in your household, you should stop buying them in the first place or use safer options or alternatives. For example, instead of using commercial cleaning products that are toxic and flammable, use homemade cleaners instead. Also, if need to deal with a pest infestation, don’t use pesticides. Use natural alternatives such as soap or garlic.